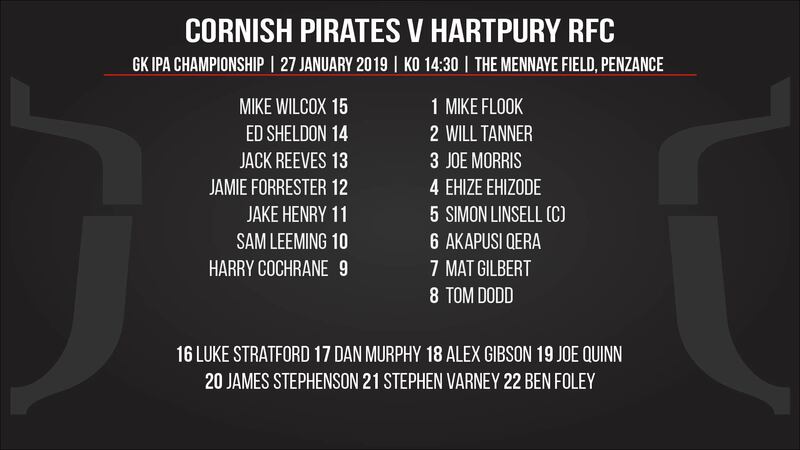 The Hartpury squad named for Sunday’s visit to the Cornish Pirates has a youthful look, as injuries and an element of rotation lead to another heavily-changed selection. Only Mike Wilcox, Jamie Forrester and Jake Henry remain from the back division that started the game against Doncaster Knights last Saturday. Sam Leeming returns at 10, where he is partnered by Harry Cochrane. England Under-18 centre Jack Reeves gets another taste at this level, while Ed Sheldon is chosen on the wing. The pack is also re-shuffled. Mike Flook and Worcester’s Joe Morris are the starting props and Bristol lock Ehize Ehizode is also included after coming off the bench last week. Iain Grieve is absent from the back row, making room for Mat Gilbert. There is bags of experience on the bench, the notable exception to this being scrum-half Stephen Varney, who will not be 18 until May. Varney was an AASE-winner with Hartpury College back in December and has also caught the eye of the Italian under-18 selectors, for whom he is qualified.